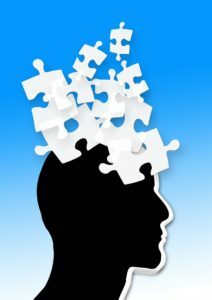 To help raise awareness, we have compile this list, from the Mayo Clinic, of Alzheimer’s disease risk factors and possible prevention methods you need to know. Your risk of Alzheimer’s disease increases after you reach 65. Your risk of dementia doubles every decade after 60. Your risk of developing Alzheimer’s disease is higher if you have a parent or sibling that has the disease. There are three genes that guarantee Alzheimer’s disease and apolipoprotein e4 (APoE4) is the strongest. Many individuals with Down syndrome develop Alzheimer’s disease. In fact, signs of Alzheimer’s disease appear 10 to 20 years earlier in people with Down syndrome. A gene in the extra chromosome that causes Down syndrome increases this disease. Women are more likely than men to develop Alzheimer’s disease. Mild cognitive impartments are memory and cognitive decline problems that are associated with aging. They are not severe enough to be considered dementia, but increase the risk of dementia later on. People who have had a severe head trauma have a greater risk of Alzheimer’s disease. FSL provides a wide array of services to support people with a dementia or Alzheimer’s disease diagnosis, especially if those people are trying to stay in their own homes. We offer services IN YOUR HOME or in one of OUR CENTERS – if you aren’t sure which may be most appropriate for your situation, contact our Care by Design team at 602-285-1800 to discuss options, or visit our page to learn more.